B.U.L.L.E.T.H.E.L.L. 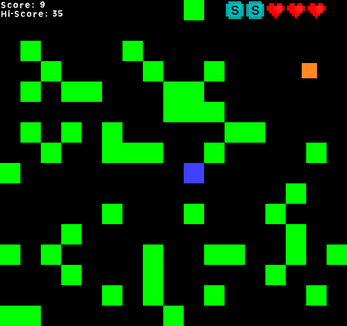 is a game designed to bring a more thought-out approach to a genre generally revolving around quick reflexes and strong hand-eye coordination. You play as the blue square. 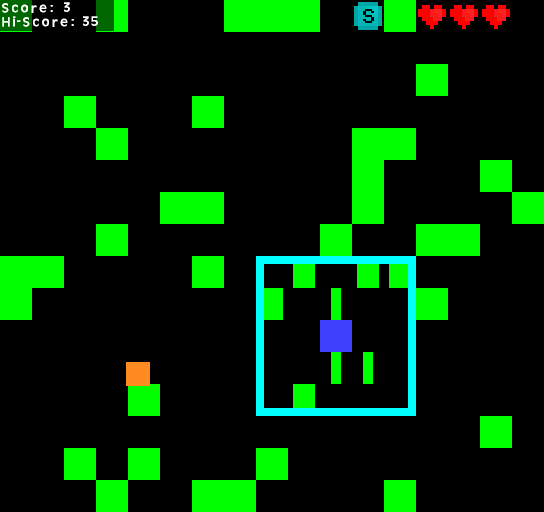 The green squares are bullets, and move one block to the left every time you move. The aim of the game is to avoid the bullets and navigate to the orange coins that randomly spawn around the map. 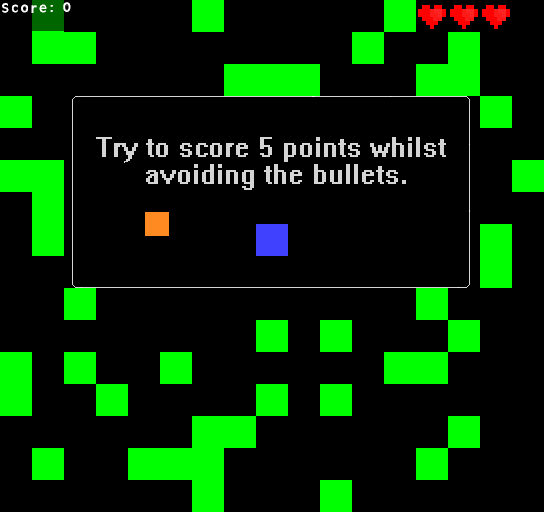 The player also has two smartbombs at their disposal, which allow them to clear a radius of projectiles around them.The game also features a difficulty curve, so it gets progressively harder as you rack up more points, eventually introducing different enemy types and so on.